You know that song America the Beautiful? It's a little known fact that that song was written about this hat. It's just an inspiring hat. It's got a concave, mushrooming shape with stars and stripes and bright red white and blue. You can wear it and run up to people and say, "I WANT YOU!" and then you can hand them an apple pie and wish them a happy Independence Day. That's just the kind of fun this hat inspires. And yes, it really is beautiful. 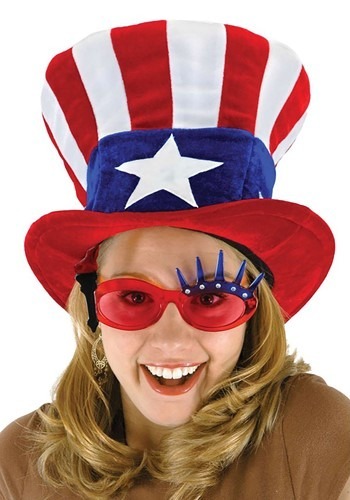 So, get out there and be the most patriotic individual since George Washington himself with this iconic Uncle Sam hat!